ATTENTION Car/Dog Enthusiasts! 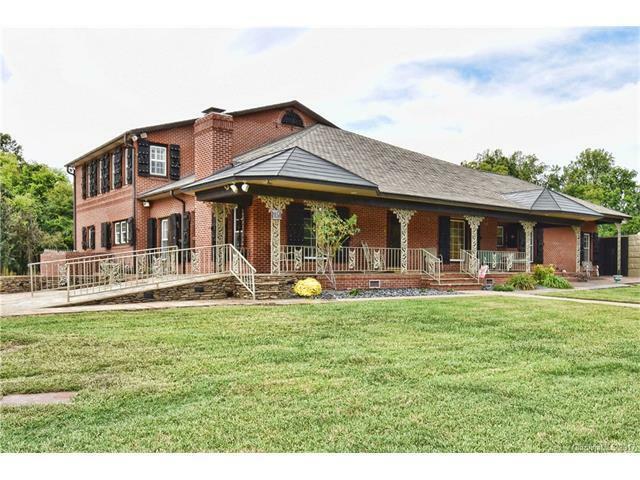 Custom 6,000+ SF all brick home on 2 Acres PLUS 7,000+ SF of detached out buildings including a renovated 4-bay barn/workshop & 4-bay garage/shop. Exceptional Quality, Gourmet Kitchen w/tons of Cabinet Space, Viking Stove & Granite CT's. Dream Den & Wet Bar for Entertaining, Luxury Master Suite, 5 Large Secondary BRs w/4 Full Baths. Fenced Yard, 1000 Amps of Power, 150KW Back-Up Generator, Tankless Water Heaters, Handicapped Accessible, 1500 Gal Water Wood Stove. Sold by #1 Properties Of Lake Norman.